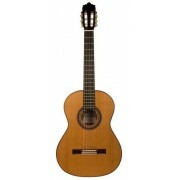 The classical guitar strap Paco Lopez PLC06 GR is a unique hand made strap for your classical, acoustic and flamenco guitar. 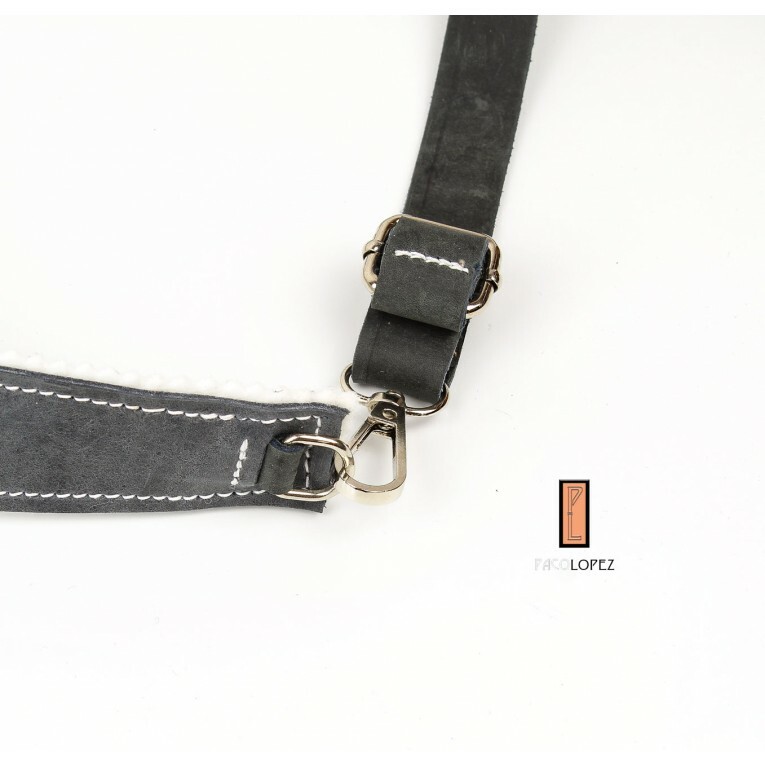 This guitar strap is entirely hand made individually from the best materials. 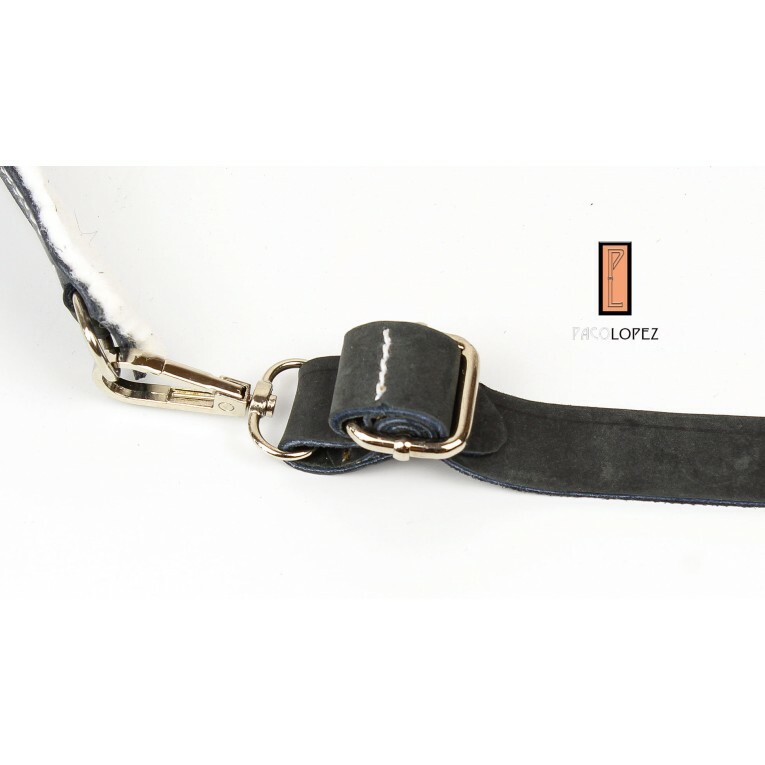 Pure thick leather with a layer of soft felt on the inside. 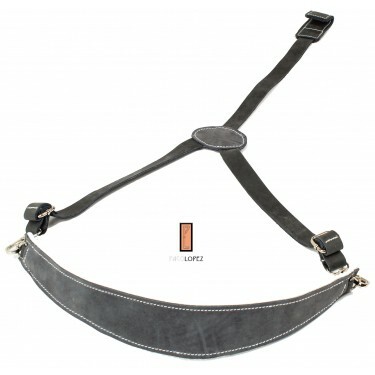 The PL06 guitar strap is a strap designed for classical, flamenco, and even acoustic guitar with a patented and innovative system that allows you to hold the guitar with maximum reliability. It is made with premium leather and handmade with special care in every detail. 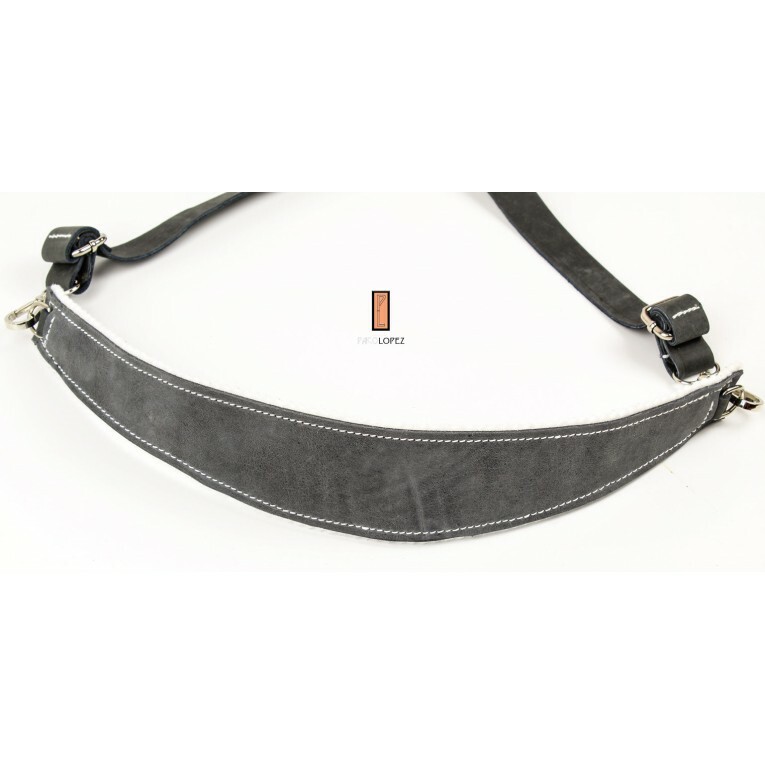 The neck of the PLC06 is lined in felt, and the buckles that serve to lengthen or decrease the size of the strap is protected by a piece of leather that covers the fittings preventing any friction that may damage the guitar. The strap attachment to the guitar is also sewn and covered in leather to fit the mouth of the guitar without scratching it. Hand made in Spain. With optional initials engraving.